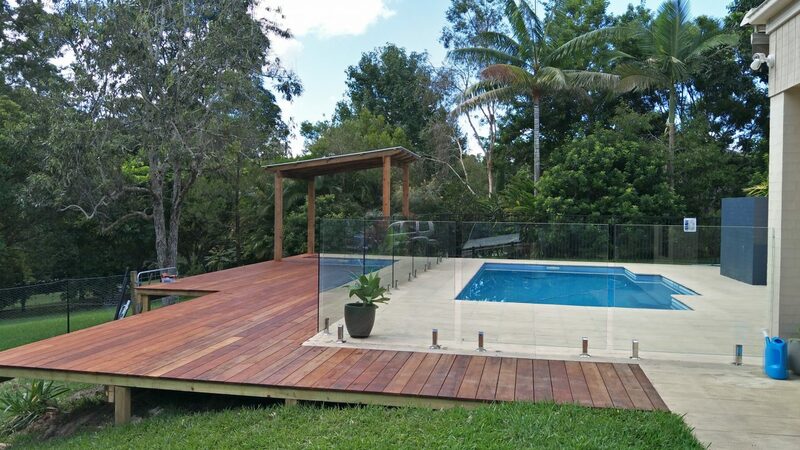 Decking for your backyard or pool compares to nothing else. 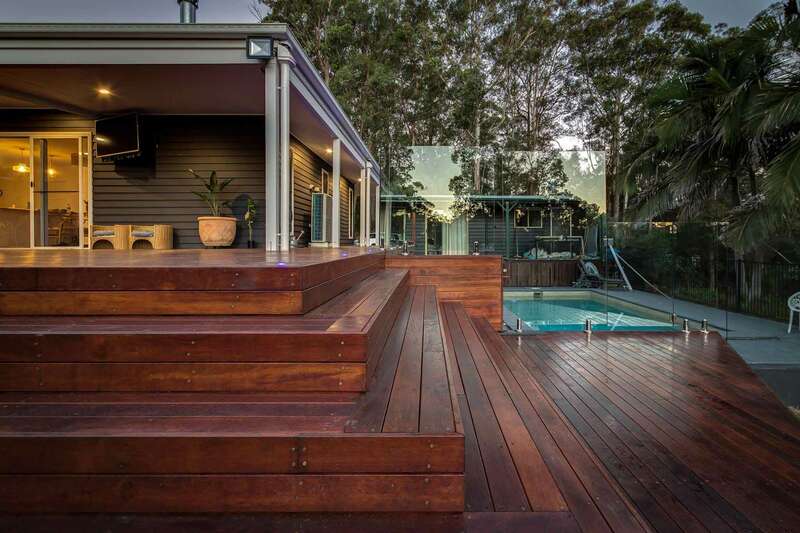 Decking is one of the most popular and coveted additions to any yard and pool area. 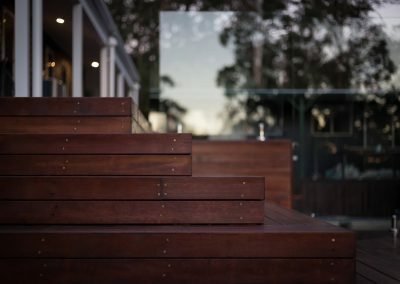 We give fixed m2 rates for your outdoor decking needs for a variety of site conditions that allow for our three concerns: costings, longevity and cosmetic appeal. 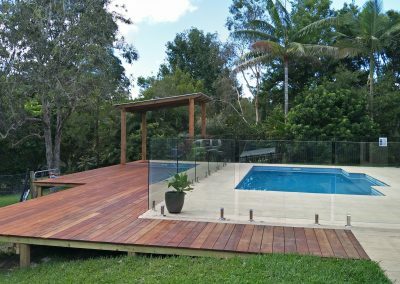 Pool Fencing Sunshine Coast looks to not only provide a great project finish but also to increase the capital value of your house, encouraging good economical value returns and helpful advice to keep within budget. 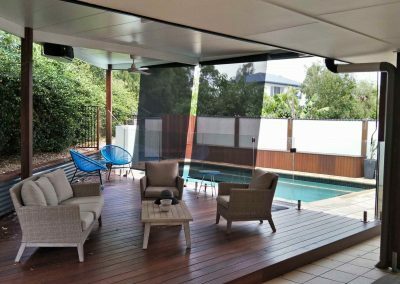 Unlike most local carpentry services on the Sunshine Coast, we have an array of completed projects to refer to for ideas and advice for your dream outdoor living area. Concrete is more cost effective than decking and definitely better than gravel, with a large variety of colour and textures available. Concreting comes in handy for low clearance areas and for drainage concerns. Make sure to include a sealer to keep that fresh finish long term. 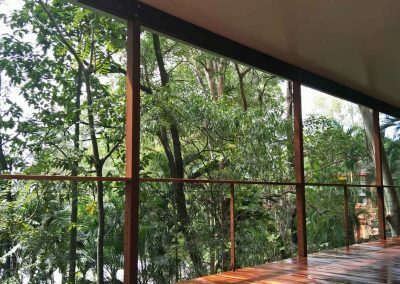 Landscaping can be a back breaking job at times, drainage and low maintenance options can pay off radically for long term quality of yard space. We can give free consultation and design for your outdoor area needs. 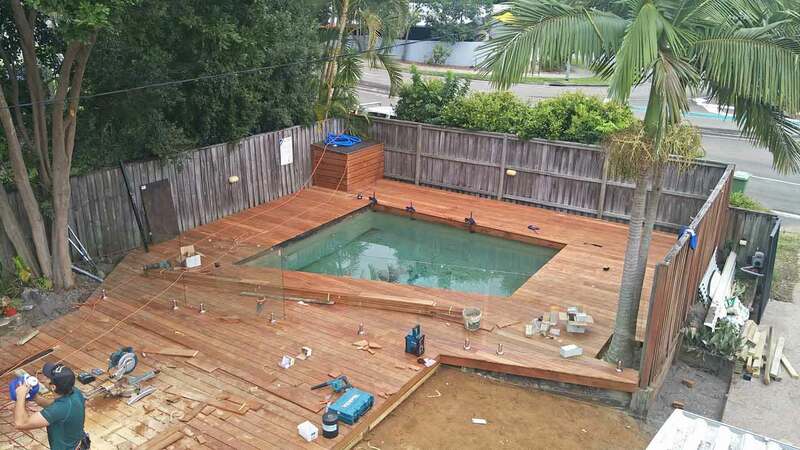 While decking is not the cheapest option, it compares to nothing else. With its advantages of being more usable in a sloping pool site and around pools to create more pool area. 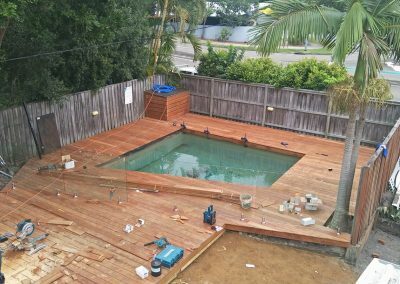 The timber species we use is always a durability class one which is a must for pool areas in our opinion. 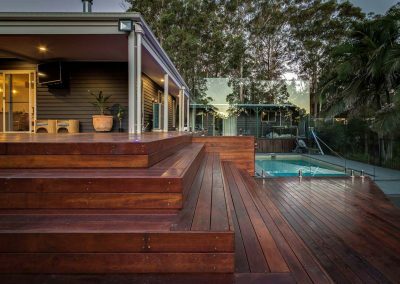 Popular durable species for decking include Kwila, Spotted gum, Yellow Balau, and Jarrah, with the common sizes being 90mm or 140mm. What do you recommend for longevity? 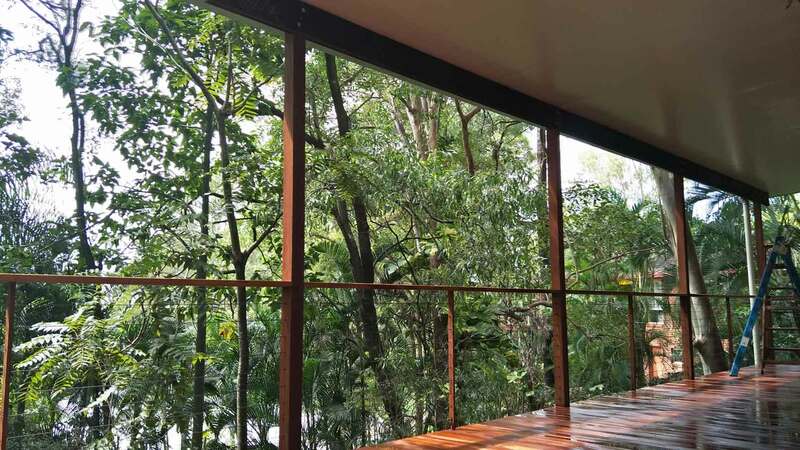 One of our concerns when quoting a deck is keeping in mind the longevity of the deck. We always recommend joist protection and galvanised hardware to add an additional coat. Stainless steel screws are also always the best option to mitigate maintenance long-term. 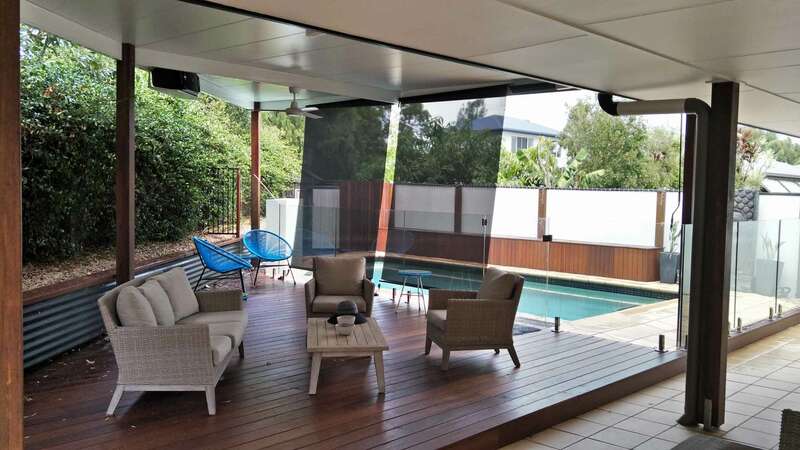 To both frame your pool in the best light, and comply with safety regulations, we have a number of options available. Providing you with both a face-lift and safety, any area with a drop greater than 1m needs balustrading. A popular and coveted addition to any yard or pool area, we use the best materials to suit your needs and budget.